Among the big mainline steam locomotives still operable in the 21st Century, Southern Pacific Daylight 4449 is certainly the most colorful. Its unique streamlined appearance also makes it one of the most recognizable examples of mid-20th Century locomotion. The 4-8-4 was built by Lima Locomotive in 1941. Its 80-inch drivers can reach speeds up to 100 miles per hour. It was one of the steam locomotive fleet assigned to pull the Daylight passenger trains linking Los Angeles to Portland, OR, until 1955. After languishing in a Portland city park, it was restored to pull the American Freedom Train during the US Bicentennial. Owned by the city of Portland, it’s operated by the all-volunteer Friends of SP 4449. Typically 4449 may travel along the Columbia River in Washington and Oregon, with an occasional journey to California. In 2009, however, a much longer expedition took it all the way through the Rockies to the Midwest. An event called “Train Festival 2009” was set for the Steam Railroading Institute in Owosso, MI, and 4449 was invited to attend. While it was a daunting task to work with all the host railroads, Amtrak, and the Friends of the 261 to make it all come together, it did. And it was spectacular! Our Midwest coverage begins west of Minot, ND, traveling through the Twin Cites and Chicago to Owosso. 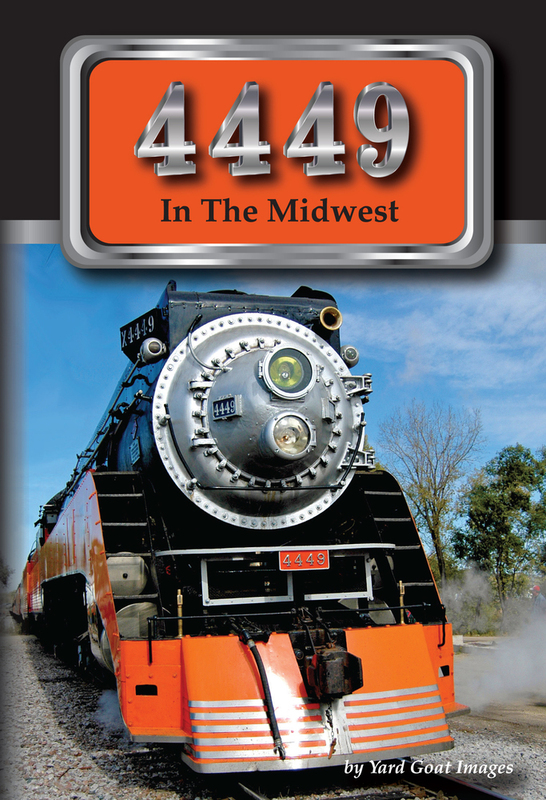 There are scenes from the Festival and 4449’s all-day trips, plus the journey back to Minneapolis via Chicago and Milwaukee. After spending the summer with Milwaukee Road 261, 4449 pulls two Fall Color trips along the Mississippi, then we accompany the special for the first two days back to Portland as far as Minot. Our documentary of this historic odyssey featuring North America’s beloved Daylight locomotive is now all on one DVD, and a compelling addition to your collection!